Europe’s dishonesty toward Iran and crypto-alignment with the U.S.
On November 5, 2018, the United States Government reinstated all Iranian oil and bank sanctions in what is being described as one of the toughest sanctions regimes in history. The main purpose of the sanctions is to reduce the sale of Iranian oil and, more importantly, to disrupt Iran’s foreign exchange earnings from crude oil sales. The most important thing targeted in the sanctions plan is the SWIFT system. SWIFT (Society for Worldwide Interbank Financial Telecommunication) is a nongovernmental organization which provides a standard system for sending and receiving currency between banks, having replaced the traditional method of money transfers in the seventies. SWIFT provides banking services through computer centers around the world. US sanctions now require SWIFT to refrain from communicating with Iranian banks, like other institutions. In 2012, as a result of US sanctions, Iran’s access to SWIFT was cut off until 2016 when the nuclear deal between Iran and the 5+1 Group concluded. This had created some problems for Iran, the most important of these are Iran’s difficulty in accessing revenues from oil and non-oil exports, difficulty in overseeing assets abroad, inability to transfer foreign currency to import goods to Iran, and difficulty in financing foreign exchange. The 5+1 Group nuclear agreement with Iran is also of great importance to Europe and so the Iranians have sought to receive guarantees from European countries to thwart the sanctions. Europe decided to maintain a banking connection between European banks and Iranian banks by launching an alternative financial system called Special Purpose Vehicle (SPV) for SWIFT. This system can greatly remedy the problems of exchanges between Iranian and European banks, but there are still serious problems. The biggest is that Iran cannot directly receive a significant amount of its oil sales revenues. Instead, it can only buy items from certain retailers under the supervision of European countries. Six months ago, Iran provided 45 days to Europe to accept its plan to maintain a nuclear deal (the so-called JCPoA). After two months, foreign ministers from Germany, France, and the United Kingdom formally requested Iran to continue to adhere to the JCPoA, and that they, in turn, would launch the SPV banking system to address Iran’s concerns about the circumvention of US sanctions. For this reason, Iran has adhered to the JCPoA agreement. Six months have passed since Iran gave a 45-day deadline to Europe. US bank sanctions against Iran have already begun, and yet Europe’s SPV plan is still not in place. Now, the foreign ministers of the three countries, Germany, France, and Britain, say that the plan will only begin in 2019. 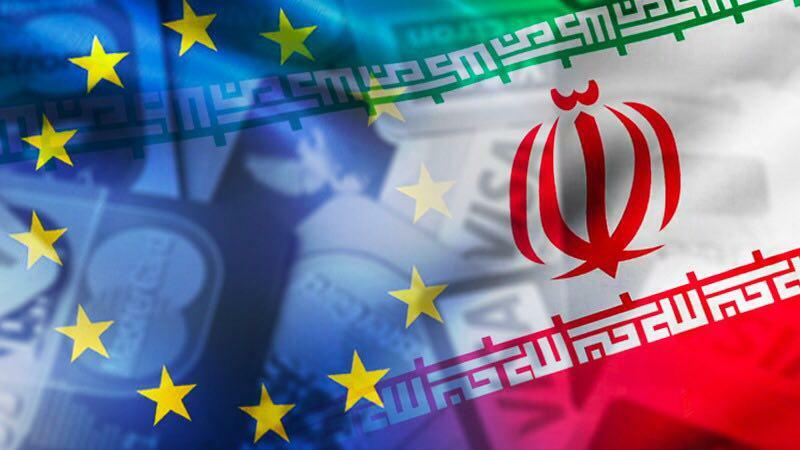 Europe has intentionally cost Iran valuable time to circumvent US sanctions, and now, with the new sanctions beginning, they will not be able to neutralize their effect. Europe’s lack of action has put Iran at the mercy of the new sanctions. 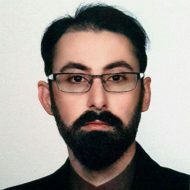 In fact, by delaying the launch of the SPV banking system, Europe has paved the way for the US sanctions to seriously affect the Iranian economy, which they have done intentionally to force more advantages from Iran, getting them to accept minimal proposals and along with the lowest prices in launching the SPV. Along with this, the security implications of Iranian diplomats in Europe need to be evaluated. Six months ago two Iranian diplomats were expelled from the Netherlands; four months ago, an Iranian diplomat was arrested in Belgium, and now Denmark has also claimed that the Iranian embassy intended to carry out a terrorist attack on Danish soil. Danish authorities claim that Iran intends to assassinate one of the leaders of the terrorist group Al-Ahwazia. This is the same group that claimed responsibility for the Ahwaz terrorist attack in Iran two months ago and yet Danish authorities have recalled their Ambassador rather than arresting this terrorist agent, and are now on the verge of cutting diplomatic relations with Iran. These actions show that Europe intends to increase diplomatic pressure on Iran in order to combine their diplomatic pressure with US economic pressure, so that the two can achieve a common goal. Europe has a history of such behavior against Iran. During the Iraqi military invasion of Iran, which lasted eight years, Europe supported Saddam Hussein’s regime by selling arms to Iraq; In 2006, Europe, contrary to its commitment, referred Iran’s nuclear case to the Security Council; Europe accompanied Washington before 2016 in all sanctions against Iran; and are now behaving dishonesty over the SPV financial plan. Despite Europe’s beautiful slogans of defending the Iranian people and the defense of human rights, their actions reflect their true association with US anti-humanitarian policies. In fact, we could say that European policy is quite similar to US policy: they both aim to oppose countries that are not under American and European colonization, particularly in the case of Iran. The only difference between European and American policies toward Iran is in tactics and techniques, not in strategy. The US believes that intensification of economic pressure caused by the withdrawal of the JCPoA can bring Iran to the knees, and Europe believes that this will happen by remaining in the JCPoA and increasing political pressure– but their ultimate goal is the same.